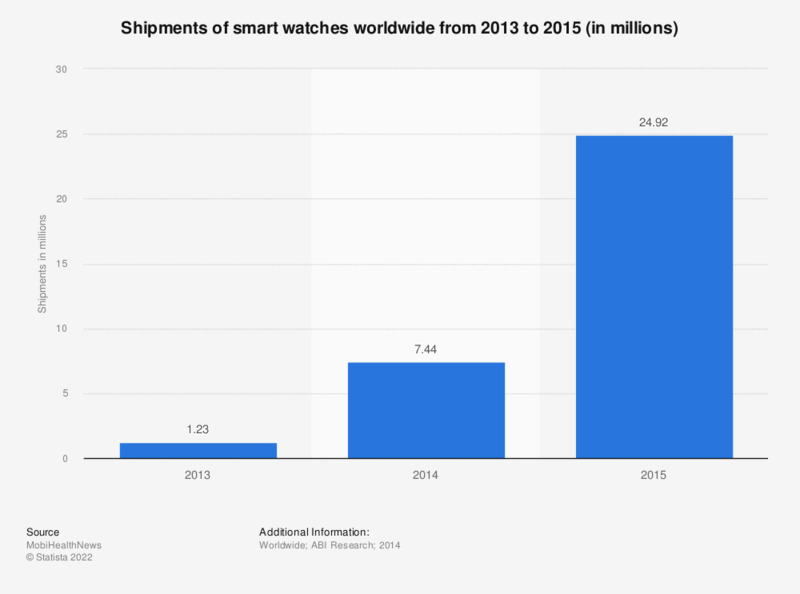 The statistic shows the projected worldwide smart watches shipments from 2013 to 2015. Shipments of smart watches are forecast to total around 25 million units in 2015. Women: Do you currently own or plan to purchase smart watches (such as Apple, Samsung, Pebble, etc.) in the next 12 months?